It’s fairly common knowledge that chlorophyll makes plants green. However, the more important function of chlorophyll involves photosynthesis, in which a plant absorbs sunlight, carbon dioxide and water, and produces glucose and oxygen. Glucose is the fuel for life, as all cells--even those of plants themselves--require energy in the form of glucose to live. Chlorophyll is a pigment residing in the chloroplasts of plant cells. More specifically, the outer layer of the thylakoids--tiny organs found within each chloroplast that resemble stacks of pancakes--is home to the chlorophyll molecules. The first steps in photosynthesis are the light reactions, in which chlorophyll plays an important role. Chlorophyll not only helps to absorb the energy from the sun but also ejects an electron in the presence of this energy. This ejected electron is crucial to the production of energy-rich glucose. The various types of pigments include chlorophylls, carotenoids and phycobilins. Each pigment absorbs different wavelengths of sunlight, ensuring that plants get as much energy as possible from sunlight. The accumulation of this light energy leads to the ejection of electrons. Chlorophylls absorb a wide range of wavelengths, with the exception of wavelengths in the green range, which are reflected. The reflection of green light explains why chlorophylls are associated with the green color of plants. “Chlorophyll” describes a class of pigment molecules rather than a specific molecule. The chlorophylls include chlorophyll a and chlorophyll b--as well as c, d and e in certain other non-plant species. All the chlorophylls, except chlorophyll a, harvest light; they absorb light energy and eventually transfer it to the electron-releasing molecule. Chlorophyll a plays a different role. Found in all photosynthetic organisms, chlorophyll a molecules are the electron-releasing molecules and are found in what is called the reaction center. The reaction center consists of chlorophyll a and various proteins. When the energy that has been gathered gets transferred to this reaction center, the chlorophyll a molecules become so excited that they release electrons. Normally, the molecules would return to ground state from this excited state, emitting light energy, but the proteins in the reaction center catalyze the energy to be released in the form of an ejected electron. This electron drives the later steps of photosynthesis, so chlorophylls play crucial roles in photosynthesis. 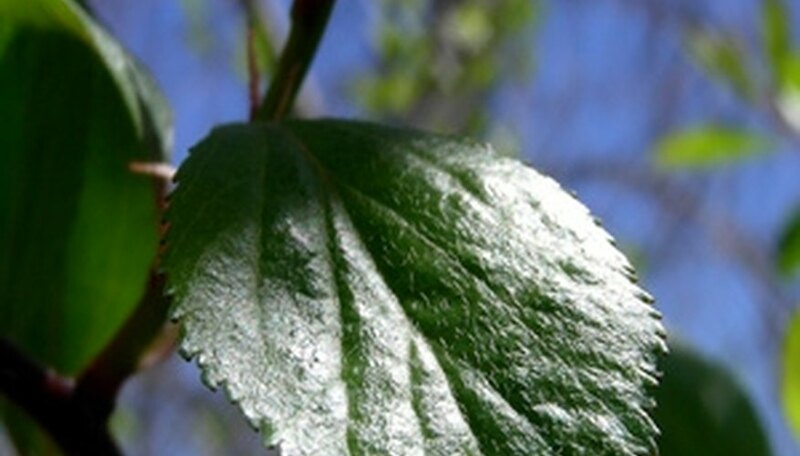 University of Cambridge: How does Chlorophyll absorb light energy and pass it on? Lance Howland began writing professionally in 1979. He served for 15 years as managing editor of "New York Teacher," a 600,000-circulation biweekly magazine that focused on education and labor issues for the state teachers union. Howland holds a Bachelor of Arts in history from Colgate University and a Master of Arts in journalism from the University of California-Berkeley.